The expected publication of four new commentary volumes in 2012 and 2013 was announced by the editorial board of the Concordia Commentary series, which met March 16 on the campus of Concordia Seminary, St. Louis. 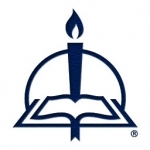 The forthcoming commentaries are on 2 Peter and Jude, by Dr. Curtis P. Giese, slated for publication in June 2012; the Epistles of John (1–3 John), by Dr. Bruce G. Schuchard (December 2012); Romans 1–8, by Dr. Michael P. Middendorf (June 2013); and Mark 1–8, by Dr. James W. Voelz (December 2013). Fraternal discussions by the editors covered the progress of current commentary authors, potential new authors, and cooperative arrangements to facilitate the ongoing faithful labor of the writers, who are drawn from confessional Lutheran church bodies around the globe. Central to the dialogue was the vital role of exegesis in the history of the church, particularly the Reformation, and the foundational role of the interpretation of Scripture in the life of the church today. The editors continue to pray that this series will further the mission of the church to proclaim the Gospel with clarity and fidelity throughout the world, until the return of Jesus Christ. Pictured standing are, left to right, Rev. 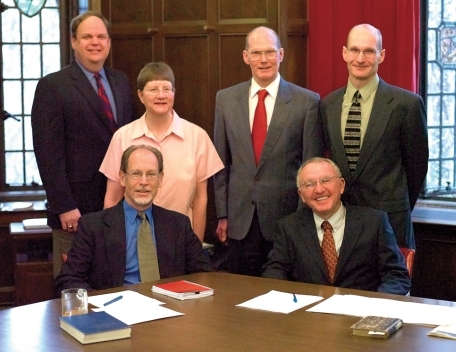 Paul T. McCain, Executive Director of Editorial and Publisher, CPH; Mrs. Julene Gernant Dumit, Production Editor, CPH; Dr. Christopher W. Mitchell, Old Testament Editor and CPH Editor for the series; Dr. Curtis P. Giese, Interim Assistant New Testament Editor for the series and Professor of Theology at Concordia University Texas. Seated, from left to right, are Dr. Jeffrey A. Gibbs, New Testament Editor for the series and Professor of Exegetical Theology at Concordia Seminary, St. Louis, Missouri; and Dr. Dean O. Wenthe, General Editor of the series and President Emeritus of Concordia Theological Seminary, Fort Wayne, Indiana.